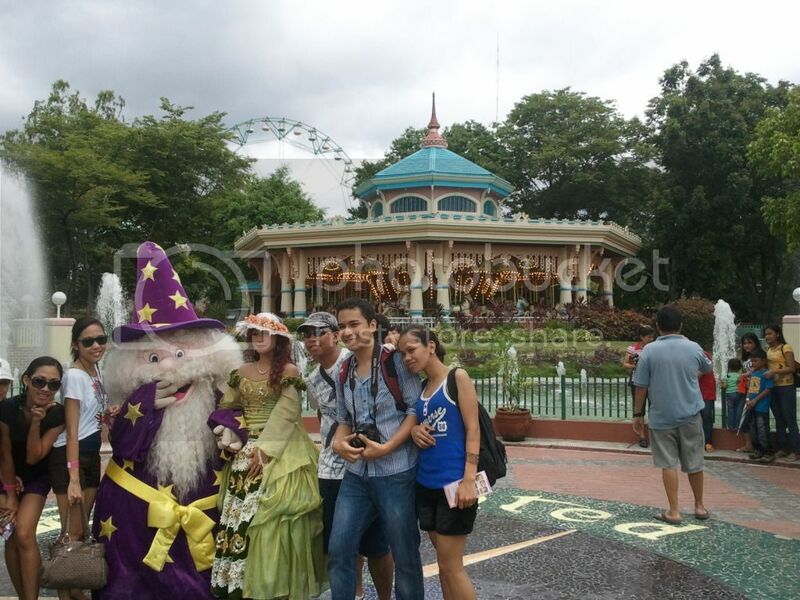 Enchanted Kingdom is probably the closest thing to Disneyland that we have here in the Philippines. 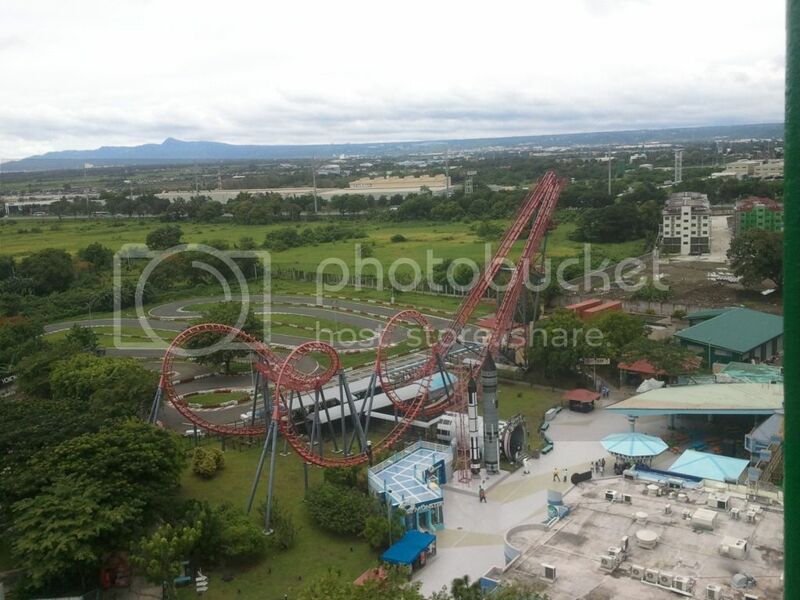 Located at the city of Sta Rosa in Laguna just south of Manila, this theme park could be reached in less than an hour from the capital, traffic permitting. 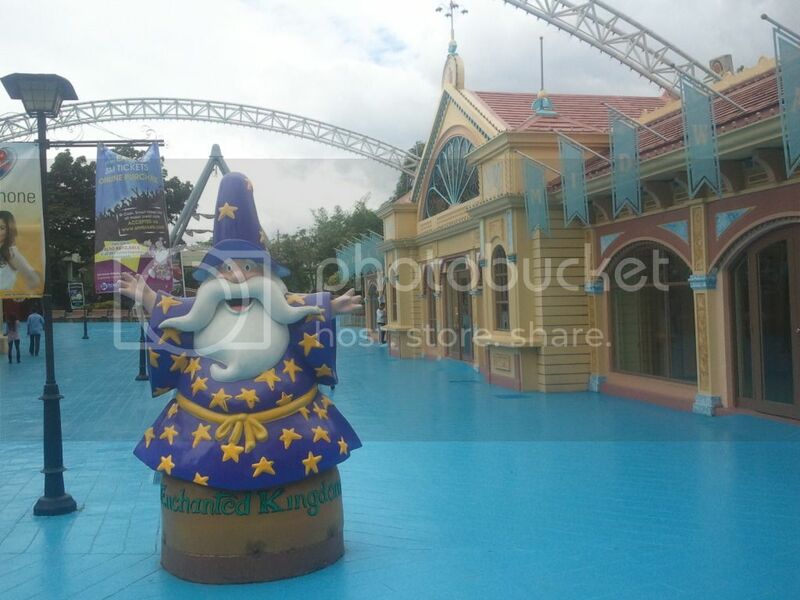 Not as big as its counterparts in nearby countries, Enchanted Kingdom needs to update its facilities fast if it wants to catch up, although it is still well worth that day trip. Coming from Makati, one can ride a special shuttle that they have which, the last time I checked, was stationed in front of SM Makati at the parking lot of Hotel Intercontinental. As for us, we took a Balibago-bound bus from Buendia, got dropped off at Waltermart, and took a five-minute tricycle ride to get there. Walking is also an option. The ticket price for ride-all-you-can (or ride-almost-all-you-can) is 500 pesos on weekends. It is now my third time to visit this theme park and I was a bit disappointed. It used to be THE theme park for me because just like other theme park enthusiasts in this country, I really did not have much of a choice. My first visit was when I was a kid. It was awesome. The second time was on a boring weekend after college. It was stress-relieving. And now again, for the third time, but it was just blah. 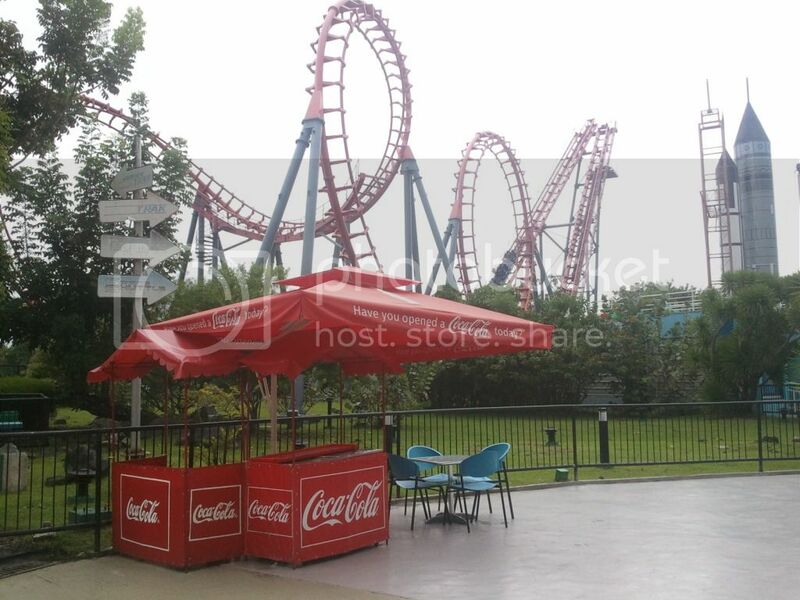 I have been to half a dozen theme parks around Asia and while some of them are not that big in terms of land area, they make up for it in terms of presentation and appeal. 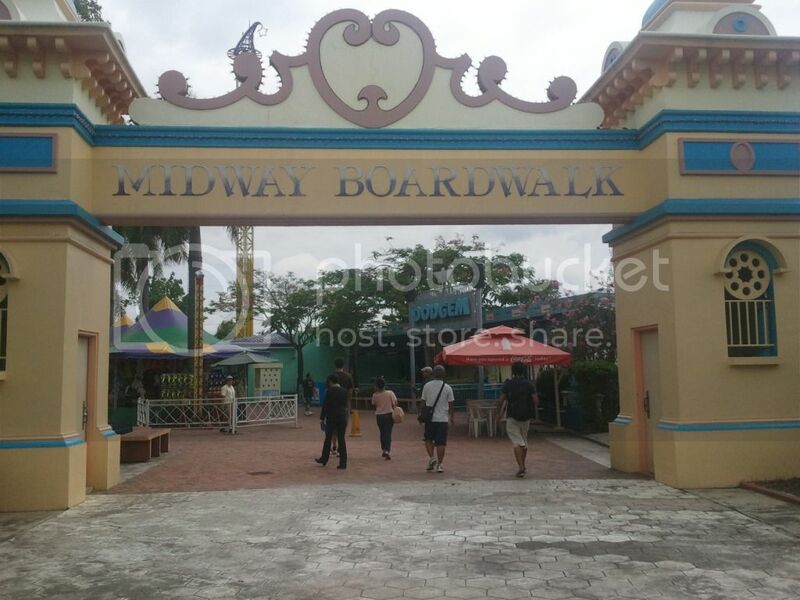 As for Enchanted Kingdom, I am just hoping that it would not end up as Jerudong, although I think that it is too much of a worst-case scenario already. 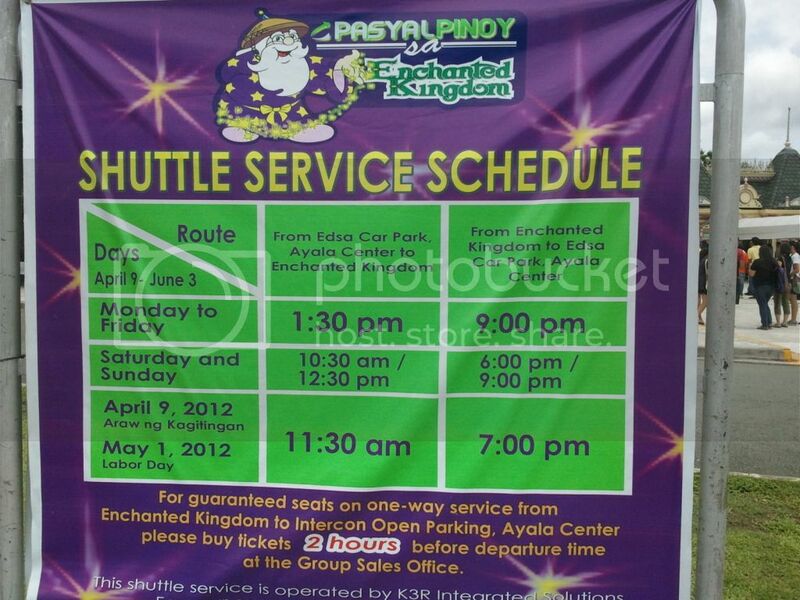 We waited in vain for a bus with an “Enchanted Kingdom” sign in front of SM Hypermart. None came. And so we had to ask the other Laguna-bound buses passing by as to which alternative bus to take and they told us that it would be the Balibago-bound bus. It was legit and it took us less than an hour to reach Waltermart. You reach the Coke plantation first, which is rather hard to miss unless you are blind or something. After that, the bus turns left and after a few minutes you would already be in front of Waltermart. After a quick breakfast at McDonalds, we took a tricycle and arrived there five minutes before opening time. Excited much? Arriving early does not mean that you would be the only one there because other people do that too. Still, it is a good decision if you really want to get ahead of the crowd. That is the one thing that I found amusing during this trip: not much of a crowd. 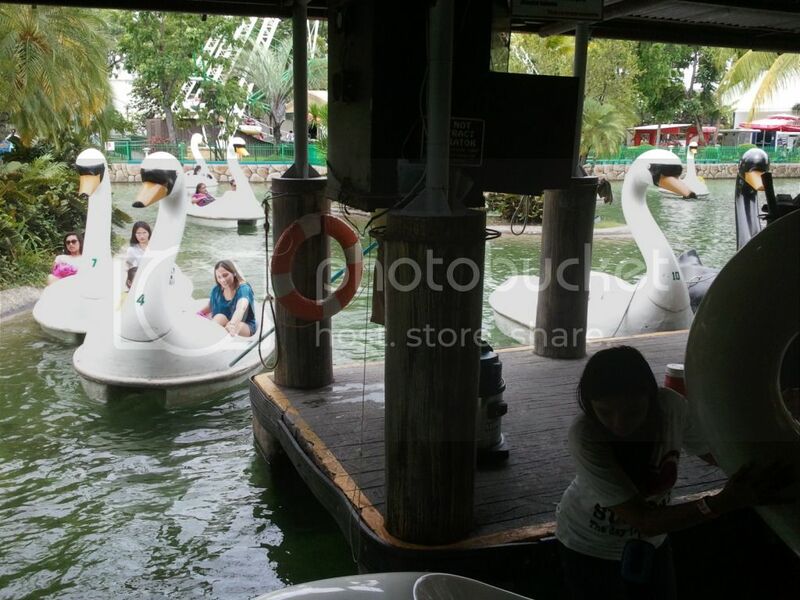 Most of them arrived after lunch, which gave us ample time to explore all the rides and not suffer from the long queues. 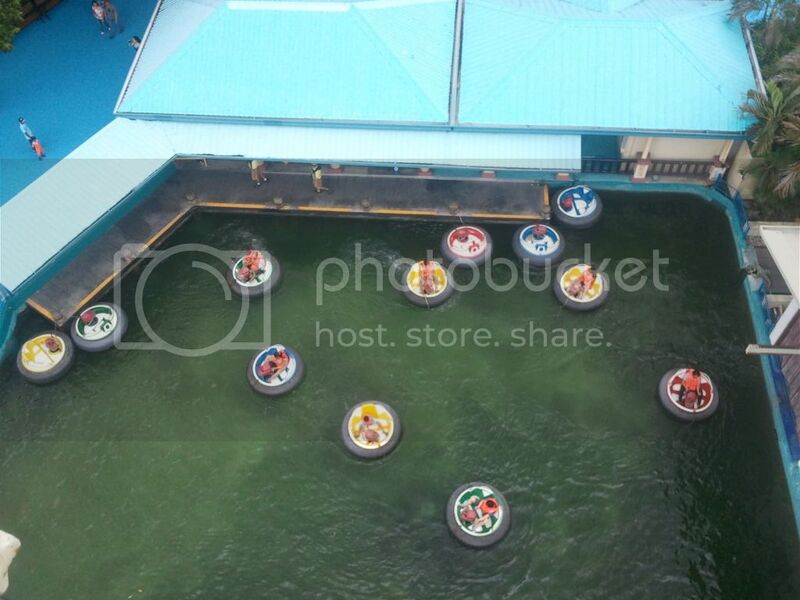 In fact, in some of the rides we had to wait for them to be filled with people before they operated. In any case, we still had to wait, but not so much in that after two hours or so we were almost done with all of them. 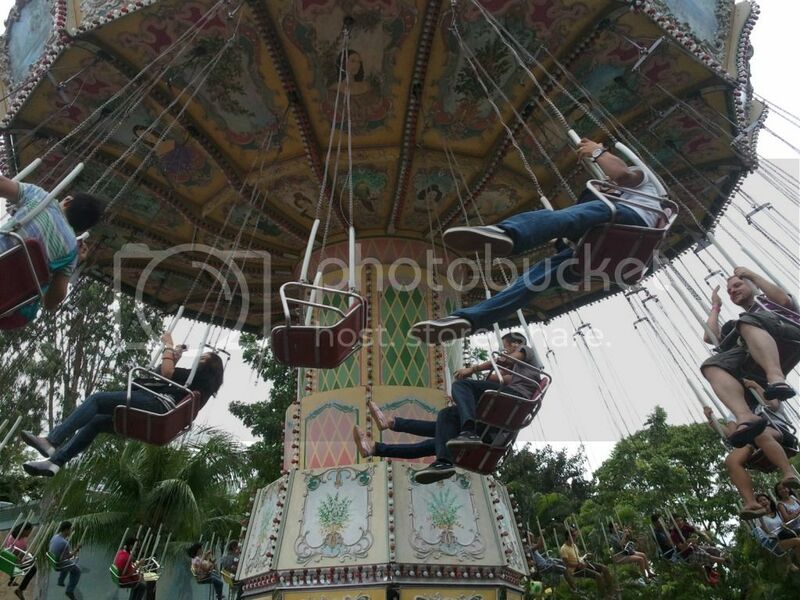 They still have the same choices of rides. The most thrilling would be Space Shuttle and Log Jam, although the latter packs in more thrill thanks to the wet and wild factor. Space Shuttle used to be exciting for me as a kid, but as an adult who has savored the excitement of many thrill ride options around Asia, this roller coaster suddenly felt more like a kiddie ride. It is still the king of the rides here though, as evidenced by the scandalous screams of its riders who are simply a great source of entertainment for everyone. We rode the said thing thrice, by the way. As for Log Jam, we only did it once. My raincoat proved effective in that I was probably the only one that got off that log dry. 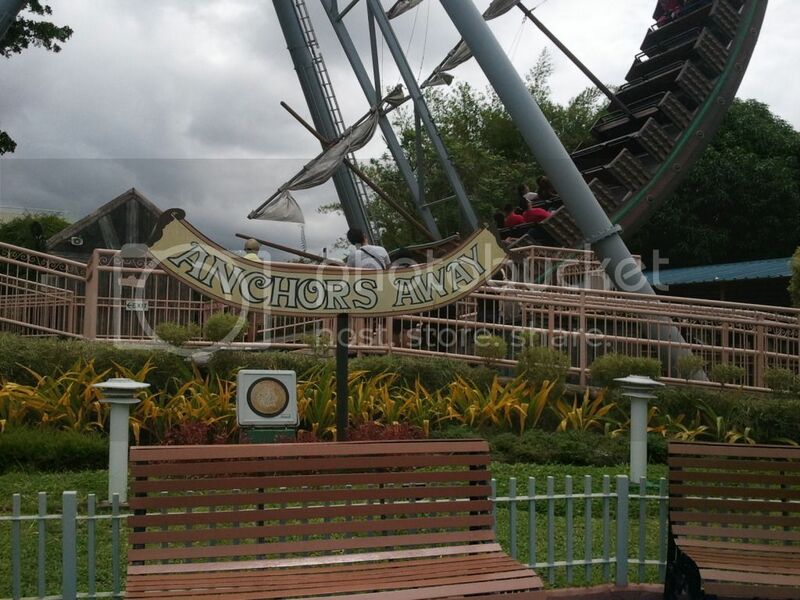 Anchor’s Away is another crowd favorite and given its layout wherein you face half of the other riders, you get to laugh not only through listening to their screams but also through seeing them horrified, most of whom are kids. There are some who seem to have just met Sadako face to face, while some keep on doing the sign of the cross as if they were in a ship that is ready to sink. Others opt to wave their hands in the air, though, as if they were in an El Shaddai meeting or something. Insanely fun. The Flying Fiesta is just opposite the Rio Grande. Now here, I was not very lucky. I did not notice that my raincoat had a large gash at the back, and so even when I was wearing it all the way down to the knees (I was sitting on it), I knew something was wrong when a wave came in and I suddenly felt wet in the crotch area. Damn, did I pee myself? HAHAHA. Well, not really, but the feeling is just as uncomfortable. I am lucky enough though, as out of us four, the one who had no jacket on took all the water that he seemed as though he just got out of a giant washing machine after the ride. If you want to get dry but not buy an overpriced souvenir shirt, head to the Flying Fiesta on the other side. 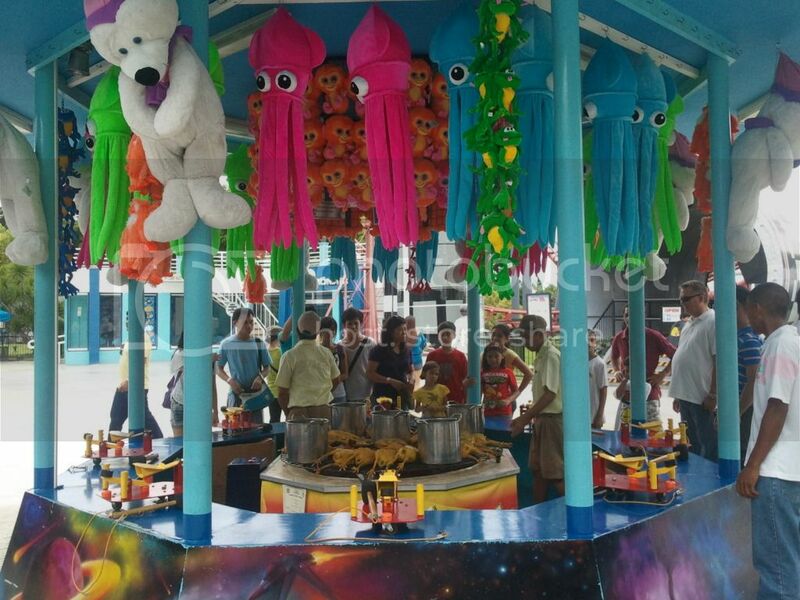 There is this one gyro drop ride that is not included in the entrance fee. You have to pay 80 pesos for it. I would say that it is worth it if you want a good aerial view of the vicinity, except that you could also do that on the Wheel of Fate. For free. The drop is not that impressive and offers not more than a few seconds of excitement. 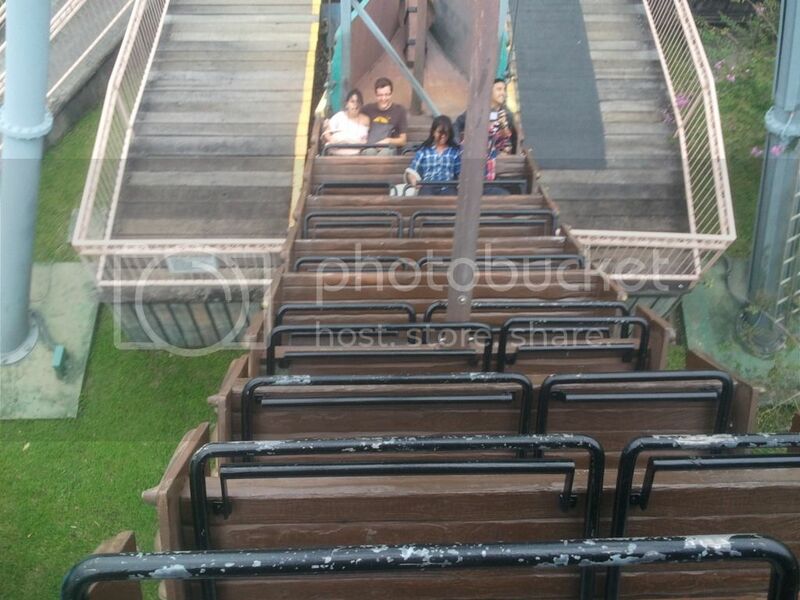 If you have done other drop rides somewhere, this one would most likely pale in comparison. Food inside is expensive, which is not at all surprising since this seems to be a general trend in theme parks. 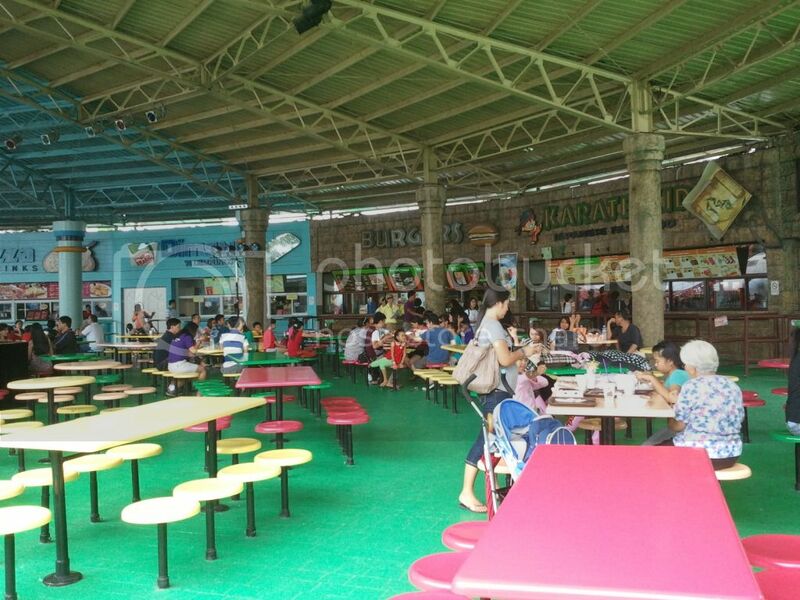 You could choose to dine at Waltermart before or after your excursion if you want cheaper alternatives. 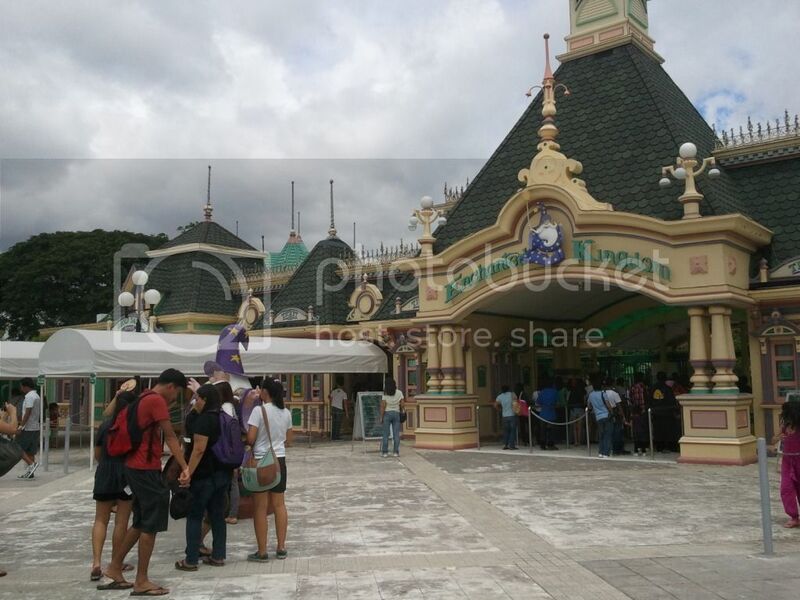 What I really like about Enchanted Kingdom though is that Mini Donuts stall! Nostalgia! All in all as I have already mentioned, this theme park is still worth the day trip, although for us who have enjoyed its existence for more than a decade already, we are bound to lose interest. It is still a good destination for kids and I am pretty sure that they would be enjoying every minute, just like we did when we were their age. 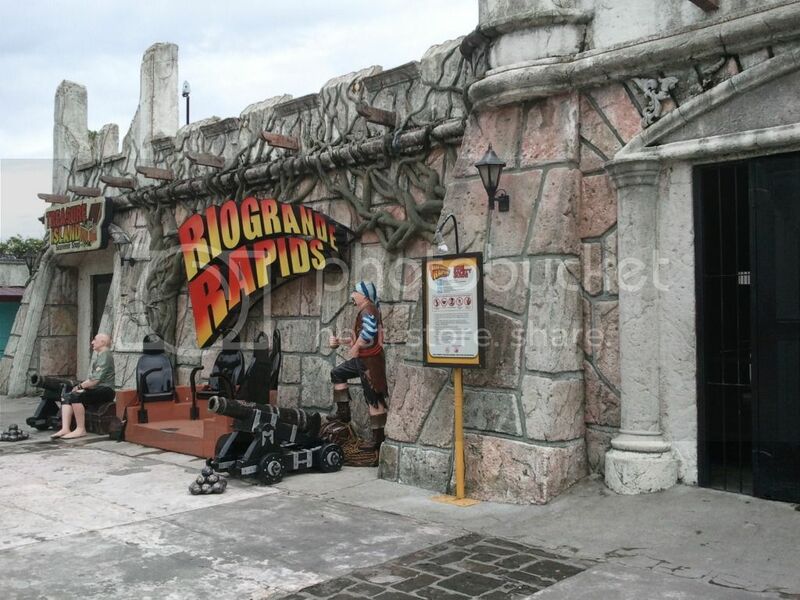 If you want a family friendly excursion that is not too far from Metro Manila, then by all means, go. 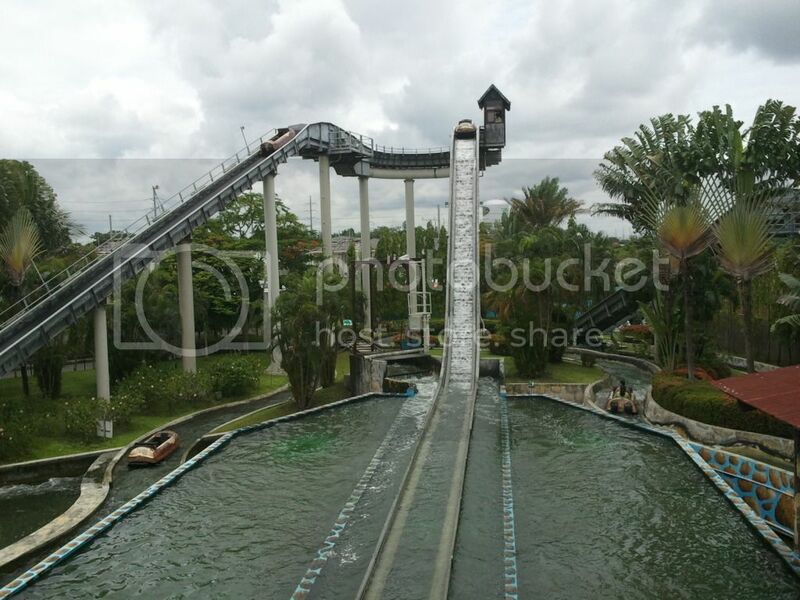 As for me, I will just hope that a grand theme park would open somewhere near the Mall of Asia. Come to think of it, the location is strategic since it is not too far away from the airport. That would be an effective tourist draw, right? Hopefully, in this lifetime.